[Question] After you have frozen tracks - should you still be able to solo/mute them? Is protools hard or am I mentally incapable of using it. Does Anyone Here Use Captain Chords with Pro Tools? Change 44.1 to 48Khz production session? Pro Tools 12.7 keeps crashing when I do "Save Copy In"
Windows 10 and Pro Tools 2018.12; constant application crashes; never launches? ideas?? Can sends be controlled via MIDI? [Gear] Good condenser mic for the price? Made a local session into a cloud session for the first time, didn't have enough storage space. No problem, its still stored locally, right? After more than a week of using this "cloud" session, it spontaneously started deleting itself, and I can't get any of the files back. I was trying to edit a clip trim envelope and suddenly created more copies the the track I was editing that had a suffix L, C, and R.
So, I was fooling around with signal generator and added a master fader. Question: Shouldn't they be showing the *same* level? Can we stop the subscription temporarily? Tempo correction to recorded guitar track without a click? Forbidden Planet VST for Protools on Mac? 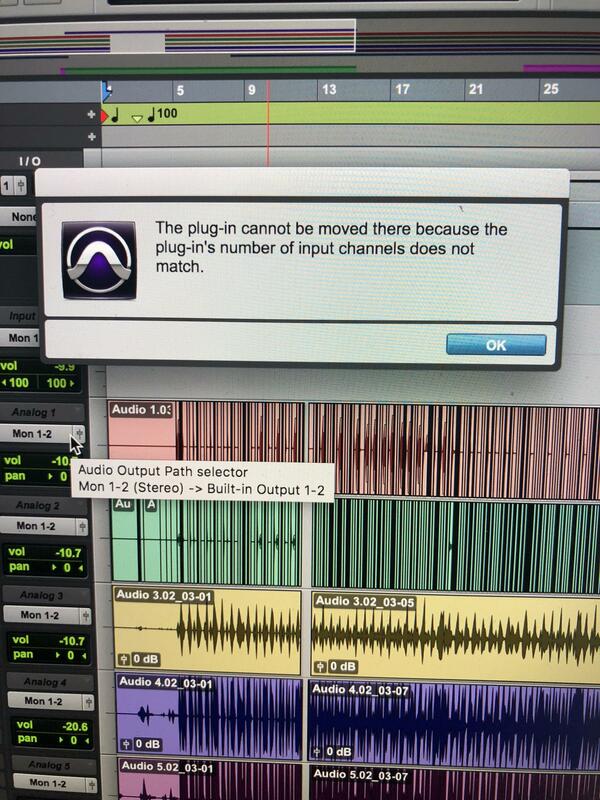 How hard is it to install and use Pro Tools?! Need help triggering MIDI sequences note by note. Audio snapping to beginning of bar instead of nearest beat? Sound panned hard right, mix window shows no panning? Separate shortcut changed only on one session. Protools First won't recognize my headphones?!?! Instachord plug in not working on pro tools? Anybody have inside info on next 2019 release?? Recording slowly starts to crackle as if it’s dropping samples. What’s the deal? Pro Tools 2019 still MIA, Avid explains why. When recording, how do I start playback x number of bars before where I want recording to start? Don’t understand why people criticise pro tools for music production! Has anyone seen this error when trying to sign in? 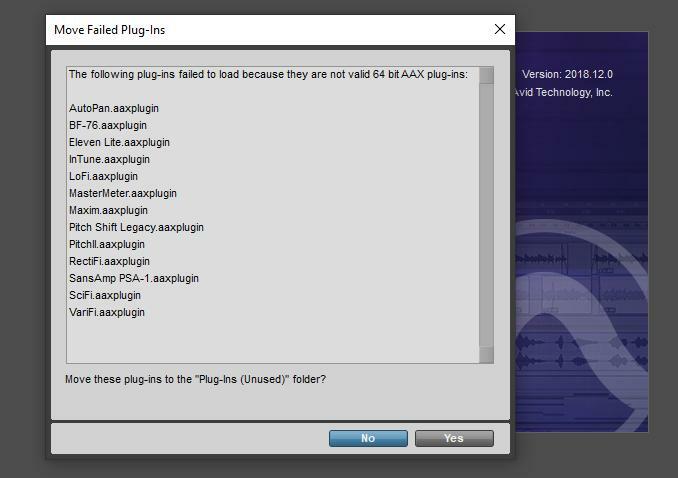 Pro tools MIDI plugin - Some people were talking about it in here, anyone know the name? What's the best way to change the BPM of a song? Need a "mentor" to help me set up Pro Tools for Hip-Hop recording,let's network and drop some discord names maybe? HELP! I can’t find my midi notes in the Edit Window! Moving song start forward about 30 seconds but tempo changes don’t move with tracks. Is there any way I can run these plug-ins? Or a place where I can get 64 bit versions? Can you use an Akai MIDImix with Protools 12? Pro Tools automatically time corrects my Podcast?? Does ProTools first have clip gain? In the interest of community service: don't despair, the Equator soft-synth and the ROLI Seaboard RISE can both work with ProTools. Tried to move a stereo imager to the master fader and it wont let me, any idea how to do this? How do i reduce the volume of selected tracks? Session Data Missing. Files Under Songs Missing. Pro Tools and NI’s Maschine: Do they play nice together? I know Pro Tools does not recommend Mojave OS and says it's not compatible. Do people still do it? In a bind. Problem with random track muting. How do I add effects (EQ, reverb, etc.) onto individual and specific clips on a track without having it added for every clip on the track? Is There any easy way to bounce all tracks? 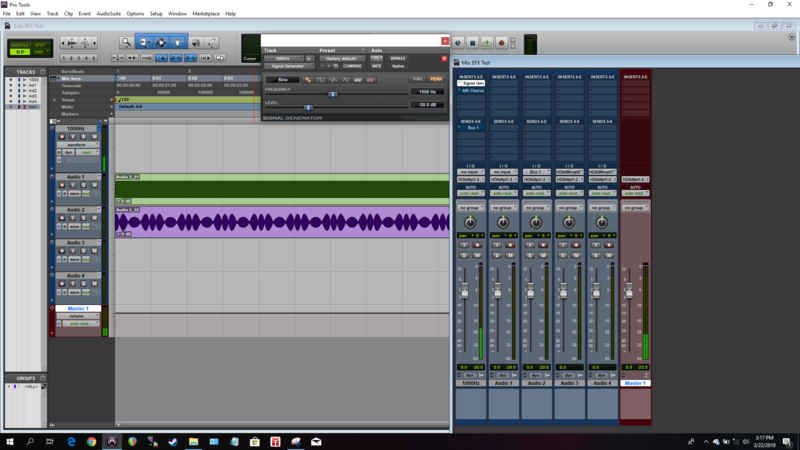 r/ProTools Content Creation Station - April 2019 Share your Pro Tools tracks, related site, blog, or other works here. How to re-enable properly drawing notes in MIDI Editor? midi tracks intermittently going inactive. one is connected over USB and one over a mio10. same thing happening. WHY?? ?